To fuel or not to fuel prior to a morning working out continues to be a hot topic. In short, yes, absolutely, you want to fuel your body upon awakening prior to working out. However, you need to understand that there is a big difference between feeding the body and fueling the body. These are two completely different animals. For example, you can consume eggs and turkey bacon prior to a workout. This food will feed your body, but in no way will this fuel your body. This would be like putting water in the gas tank of your car. Water and gasoline are both liquids, but it does not mean they are both fuel sources. The same holds true for the human body. You want to be sure that upon awakening (and every meal/snack all throughout the day) that you are fueling your body and eating with purpose and not just feeding your body. That is of course, if you are looking for the best results possible in terms of performance, recovery, and body composition. One of the main keys to success when it comes to performance, recovery, and body composition is to continually load and reload muscle glycogen stores. This is a big reason why fueling the body properly, right away upon awakening, is a big key to success. Upon awakening, you are dehydrated and your glycogen stores are sub optimal1. Why would you want to push your body and mind while in a sub-optimal state? Fueling properly will also help assist with hydrating/rehydrating your body upon awakening (along with drinking water of course). This alone will have a huge and positive impact on your workout. If you go into a workout under fueled and dehydrated, this can result in a higher than normal heart rate. If you are working out smart and training by heart rate, you understand the negative impact this will have on your workout2. Prior to a workout, there are many great options in order to properly fuel the body. Solid and liquid fuel can both be very valuable and I would recommend trying different options to see what works best for you. Liquid fuel (a smoothie) is a great go-to option for many reasons. It’s very easy on the system and it will get digested and absorbed quickly and it will also help with hydration. In terms of macronutrient balance, you should aim for approximately 50 to 65 percent calories from carbohydrate, 15 to 25 percent from protein, and 15 to 25 percent from fat. It is this type of balance that will create a steady rise in blood sugar and insulin as opposed to a quick spike and a quick drop. It will also help assist in keeping energy levels high and stable. Here is a smoothie recipe that will fuel your early workout correctly. This will provide you with the following high-octane fuel: 296 calories, 54 percent of your Vitamin C, 19 percent Potassium, 27 percent Folic Acid. In terms of solid fuel, ‘energy bars’ of similar macronutrient makeup also makes a great pre-workout fuel choice. Also consume at least 16oz. water right away upon awakening. If you are performing shorter workouts, around 30 to 45 minutes, consume only half of this smoothie. If you are new to pre-workout fuel, no worries; let tomorrow be the start. 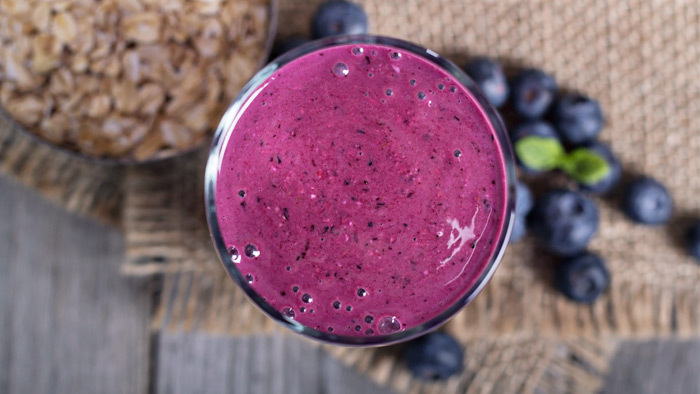 If you are a pre-workout fuel veteran, great; power up the body with this smoothie. Whether you have a 30 minute workout, a six hour workout or something in between, this will be a great start to getting your body properly fueled. If you have a longer work out, say two hours or more, I would suggest one and a half or two times this smoothie. Also, be sure to experiment with the timing of your pre-workout fuel. For example, some individuals have no problem consuming this and starting their work out within 15 minutes. Where other individuals feel more comfortable consuming this fuel 30 to 90 minutes or more prior to their work out. Much of the timing, especially upon awakening, will of course depend on your available time frame. On race day, since you will have more time to fuel, I would recommend consuming the one and a half to two times the amount of the smoothie approximately two and a half to three hours before your race. While it takes some experimenting to find what works best for you, fueling your body before any workout is a necessity. You will have more productive workouts by starting with a full tank of gas and optimal hydration, prevent weakness and fatigue due to low blood sugar and/or inadequate muscle glycogen stores, spare glycogen and be sharper mentally3. Get started dialing in your morning fuel strategy and get better results.